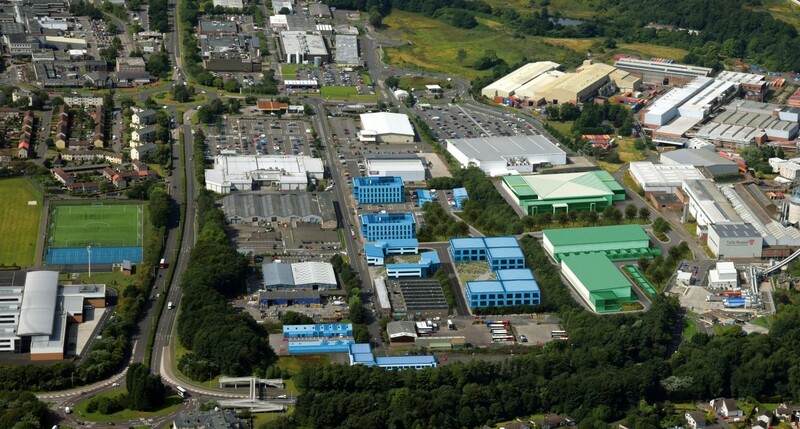 Queensway Park Data Centre Campus is located in Fife Scotland where the ambient air temperature is lower than both London and Dublin making it an ideal location for the use of highly efficient natural free air cooling systems. Queensway Park connects in to one of the country’s largest high speed networks with over 7,500 km of fibre connecting key towns and cities across the UK. Fife has a strong tradition of energy generation which it continues in the renewable energy sector with over £400 million of private equity invested in renewable energy projects including the UK’s largest biomass fuelled combined heat and power plant (CHP) producing 65MW of renewable energy. Fife has a population of 362,000 representing 23% of the Edinburgh City Region where over 43,000 are employed in financial services making it the 4th largest financial centre in Europe. Fife has the greatest concentration of business services employment in Scotland and 2.2 million people live within an hour’s drive. Global Business services productivity ranks third among all UK regions and staff turnover is almost 2% lower than the UK average. Established employers in Fife include Lloyds Banking Group, Sainsbury’s Bank, Nationwide Building Society, Diageo, Raytheon and Sky Television. The seven main universities in Scotland produce around 14,000 graduates each year including an impressive number in ICT related subjects. Three purpose built data centre facilities coloured green.